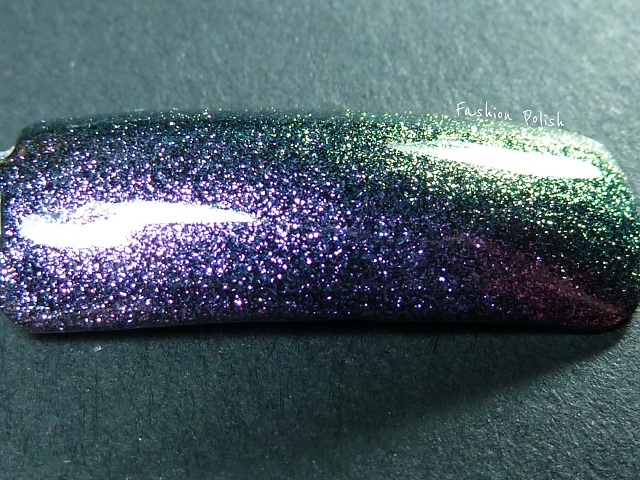 As promised, today I have for you the second half of the chromatic pigments review. If you've missed the first part, just follow this link. I received the pigments in small ziploc bags. They all contained 1g of powder and I used around 1/3 of that in regular size clear nail polish bottles (15ml / 0.5oz). I didn't do it intentionally but man, didn't I keep the best half for last? These pigments are absolutely amazing. 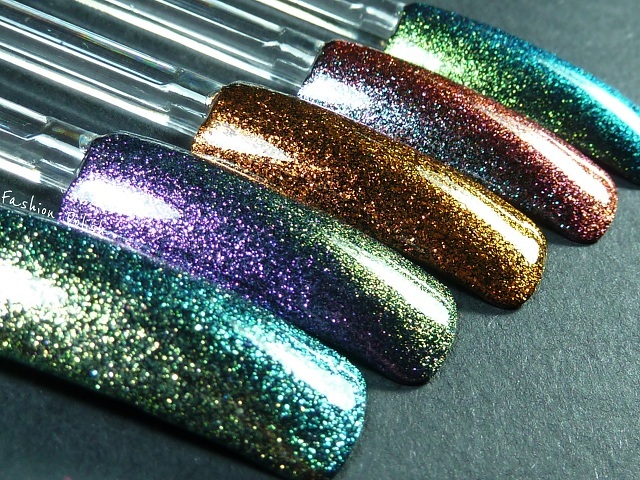 They mix really well, are super sparkly and duochromey alright! They can be purchased from Anna's eBay store AnnasArtAsylum (worldwide shipping). Anna has several listings up : choose 1, 2, 3 or 5 pigment packs. And if I may add, they're up for a bargain since you can make 2 to 3 full size bottles with each. 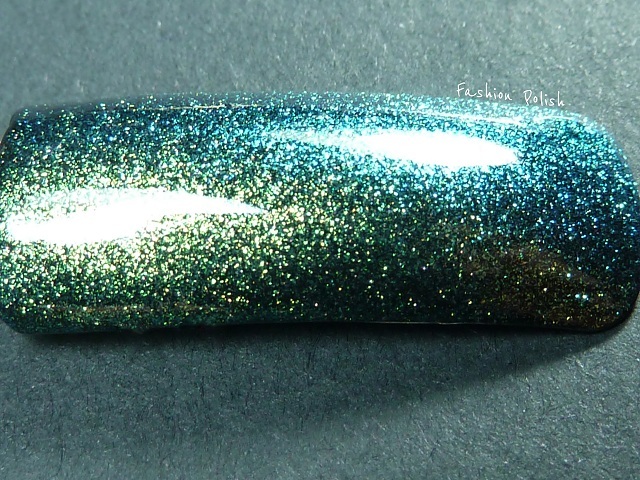 The strong blue to green fine shimmer is definitely my fave from this part! 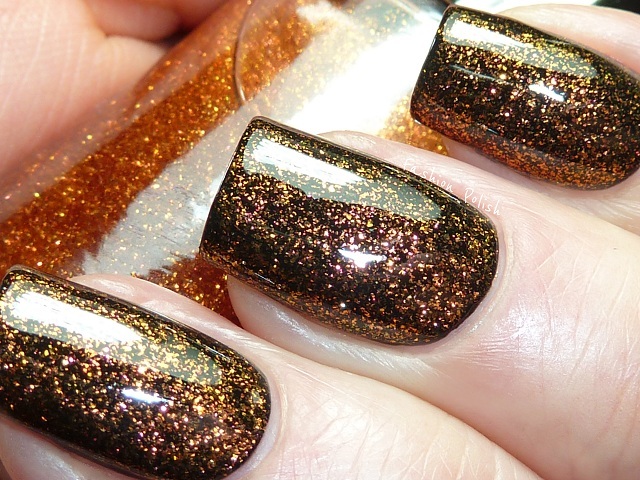 You capture such a glow and sparkle from the glitter, it looks incredible! GREATTTTT, I had a hard enough time trying to narrow down what I wanted from part 1 you just made it that more difficult with part 2. Oh my, what's a girl to do? ¡Woow! ¡Qué originales! Me encanta. Thanks to your fantastic pics, I bought all 10 this morning. this is awesome! How exactly do you make up the solution? Hi Sam! I love the pigment, but the day after I mixed it and painted my nails it settled in the bottom of my polish bottle and seems to be glued there. It won't mix back up. What clear polish did you use? Hi Sam! I love the pigment... but the day after I mixed it and painted my nails it settled in the bottom of the bottle and won't mix back up. It's like it's glued there. What clear did you use? 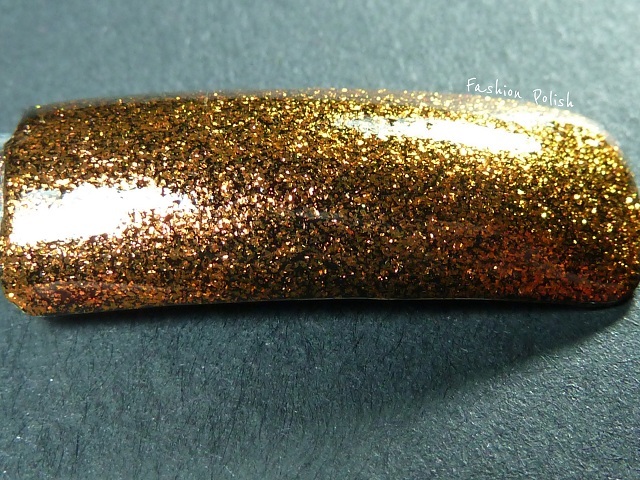 @Mandy28 tkbtrading.com has great stuff for making your own polish. To keep shimmer suspended, you have to add suspension base. Their product is called "Luster Base". 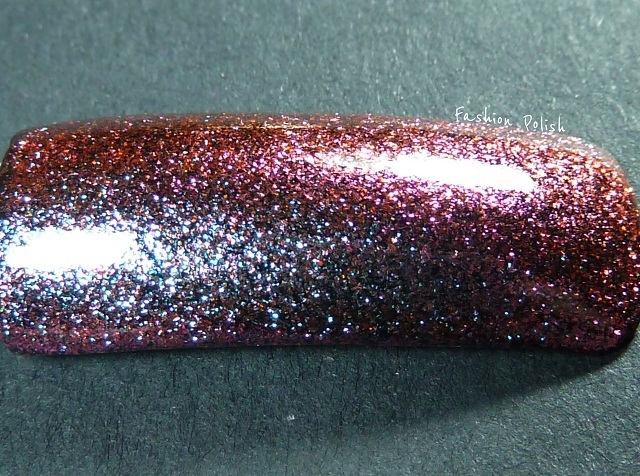 Alternatively, you could use a somewhat clear glitter polish (Wet 'n' Wild Kaleidoscope), since those have to have suspension base to hold up the glitter. TKB also sells the stainless steel balls (2 per bottle, to get things to mix well when shaken), and mini bottles. 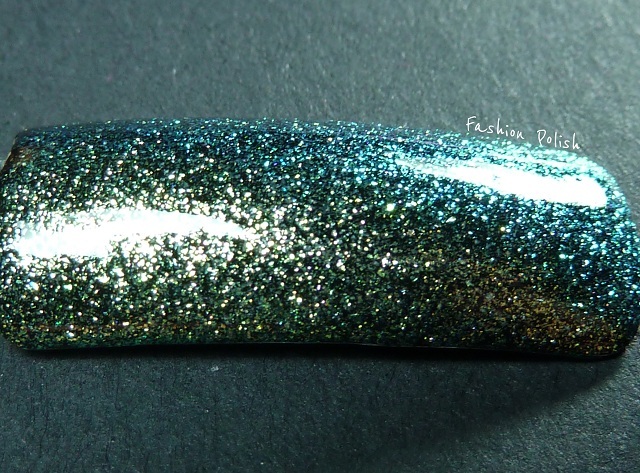 Google "franken polish" for more info. Hiya, is the finish fine or gritty? Have you got a photo of all the swathces from review 1 & 2 together please? Thanks.